deserve safety & equal care. Tell us about the experience of LGBTQ youth in foster care: Take our poll! We are focusing on raising awareness in five areas during National Foster Care Month. Grab an image below, then share across your social networks. Create an even bigger impact by adding your own story or perspective about the issue! During National Foster Care Month in May, FosterClub shares #FosterFacts. 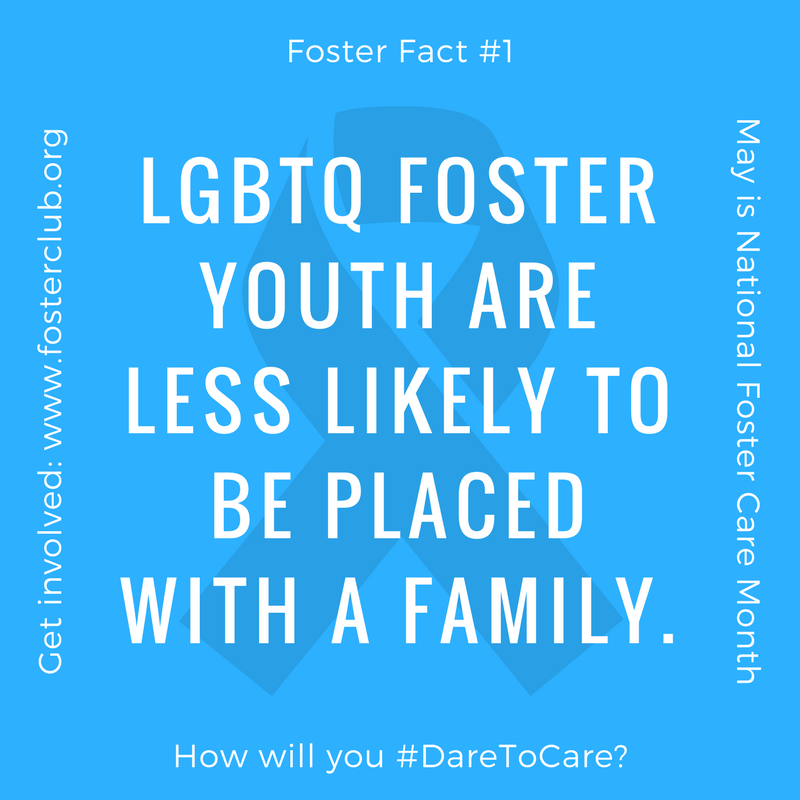 Share our FosterFact #1: LGBTQ foster youth are less likely to be placed with a family (and more likely to be placed in a group home or congregate care facility). Consider sharing the meme, and then adding your own story for even more impact. We work with the Human Rights Campaign on the #FosterEquality campaign to raise awareness about how foster care needs to be inclusive and respectful to ALL young people and to ALL prospective and current foster and adoptive parents. 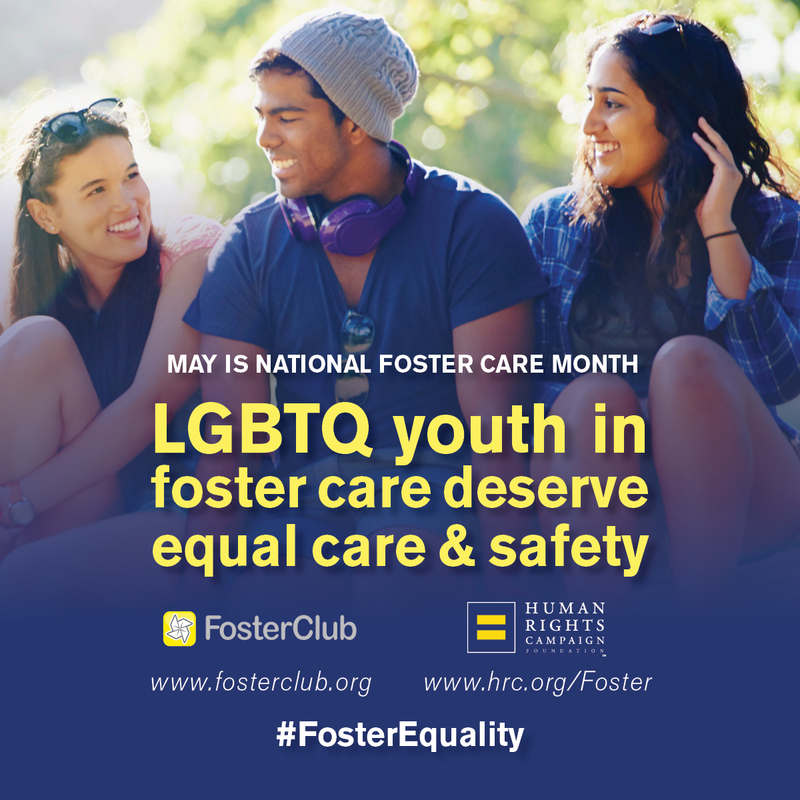 Help make the case that foster care should be inclusive and supportive of all foster youth - no matter their sexual orientation, or gender identity or expression!